The story of these “Junior” batteries deserves at least a short explanation. With Abraham Lincoln’s Proclamation #102, issued on June 15, 1863, the call went forward Maryland, Pennsylvania, West Virginia, and Ohio to provide volunteers for enlistments of six months to meet the emergency caused by the Confederate invasion. We discussed the artillery side of Pennsylvania’s response in an earlier post. Maryland’s quota in this was 10,000 men and included the two “Junior” batteries. Both batteries mustered into service on July 14. And they would serve their six month hitches around Baltimore. Battery A / 1st Battery: Indicated with the Army of the Potomac, with four (down from six) 3-inch Ordnance Rifles Captain James H. Rigby remained in command. When the Fourth Volunteer Brigade of the Reserve Artillery was broken up on July 17, Rigby’s Battery transferred to the Third Volunteer Brigade. As of the end of September that year the battery was in Culpeper County. Battery B / 2nd Battery: Reported at Maryland Heights, Maryland, with six 3-inch Ordnance Rifles. In mid-July, the Captain Alonzo Snow’s battery was among the forces reoccupying Harpers Ferry. The battery was assigned to the Second Brigade, Maryland Heights Division. Baltimore Independent Battery: Showing at Baltimore, Maryland, with six 3-inch Ordnance Rifles. As mentioned in the previous quarter, this battery lost its guns at Winchester in June. Captain Frederick W. Alexander remained in command with the battery reforming at Baltimore, being reequipped with rifles rather quickly in July. The battery appears in Brigadier-General Erastus Tyler’s division, Northwestern Defenses of Baltimore. 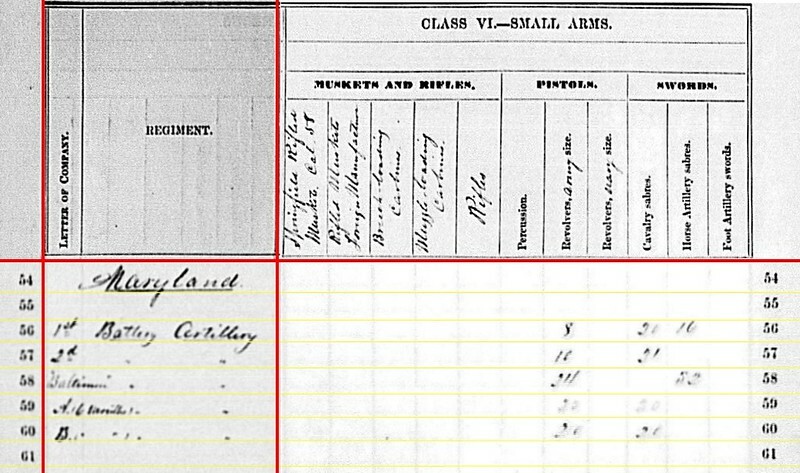 Battery A (Junior): Reporting at Baltimore, Maryland with six 3-inch rifles (likely Ordnance Rifles). As detailed above, the battery mustered in mid-July. Captain John M. Bruce commanded. The battery was also part of Tyler’s division. The battery is often listed simply as “Junior Battery” on returns. Battery B (Junior): At Camp Wharton (? ), Maryland with six 12-pdr Napoleons. The place name is not familiar to me, but I do know the battery was in the defenses of Baltimore. Also seen on returns as the Eagle Battery. Captain Joseph H. Audoun commanded. As with the other Junior Battery, the Eagle Battery was assigned to the defenses of Baltimore, and part of Tyler’s division. Battery B (Junior): 296 shot, 104 shell, 304 case, and 96 canister for 12-pdr Napoleons. Battery A: 80 canister for 3-inch rifles. Battery B: 182 canister, 188 percussion shell, and 547 bullet shell for 3-inch rifles. Baltimore Battery: 121 canister, 120 percussion shell, 4 fuse shell, 10 bullet shell for 3-inch rifles. Battery A (Junior): 120 canister, 120 percussion shell, 240 fuse shell, and 720 bullet shell for 3-inch rifles. Battery A: 317 shell and 396 case for 3-inch rifles. Battery B: 253 shell for 3-inch rifles. Baltimore Battery: 240 shell and 710 case for 3-inch rifles. Battery A: Eight Army revolvers, twenty cavalry sabers, and sixteen horse artillery sabers. Battery B: Ten Army revolvers and twenty-one cavalry sabers. Baltimore Battery: Twenty-four Army revolvers and thirty-two horse artillery sabers. Battery A (Junior): Twenty Army revolvers and twenty cavalry sabers. Battery B (Junior): Twenty Army revolvers and twenty cavalry sabers. Consider that in July 1863 of the five Maryland batteries, two were just brought into existence and another had lost nearly all its equipment. Those three batteries were constituted, or reconstituted as the case may be, within a matter of weeks. That tells us much about the depth of the Federal war machine…. not to mention how many spare cannon were around just waiting to be issued. 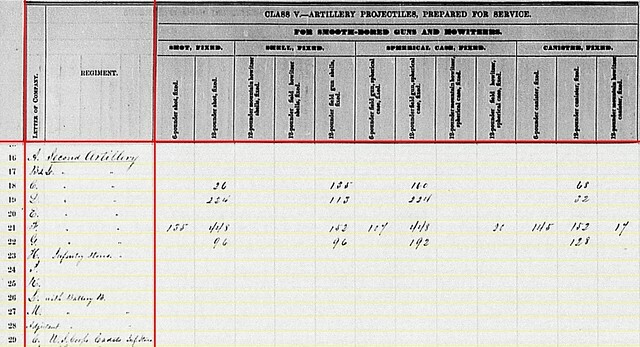 Battery A – Reporting at Culpeper, Virginia as of October 31, 1863 with six 3-inch Ordnance Rifles. That location was valid for the end of September. But, we know from the war’s chronology on Halloween of that year Battery A was in Fauquier County north of the Rappahannock, having returned from a brisk march on the Bristoe Campaign. Lieutenant Robert Clarke (Battery M) replaced Lieutenant John H. Calef after Gettysburg. The Battery remained with Second Brigade, Horse Artillery. Battery B – With a report, as of December 1863, located at Stevensburg, Virginia with six 3-inch Ordnance Rifles. I might could “sell” this location for the end of September 1863… or for December 1863. But neither, I feel, tell the full story. This was actually combined Batteries B and L (see below), assigned to First Brigade of the Horse Artillery, under Lieutenant Edward Heaton. Battery C – New Orleans, Louisiana with four 12-pdr Napoleons (a reduction of two guns). The battery was part of Nineteenth Corps (transferring from Fourth Division to Second Division as the corps reorganized). Lieutenant Theodore Bradley commanded at the start of the quarter. But late in the summer Lieutenant John I. Rodgers returned from leave to resume command. Battery D – At Warrenton, Virginia, according to a reporting date of November 1863, with four 12-pdr Napoleons. Battery D moved from Sixth Corps to the First Brigade, Horse Artillery at the end of the Gettysburg Campaign. Lieutenant Edward D. Williston remained in command. Battery E – Nicholasville, Kentucky with four 20-pdr Parrott Rifles (vice six reported the previous quarter). This battery was part of the Second Division, Ninth Corps, which returned from Vicksburg. 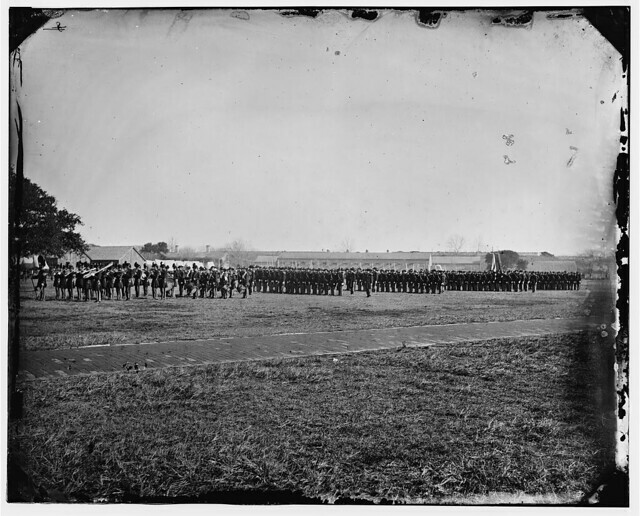 After returning to Kentucky, the battery was assigned directly under the corps for reporting. Lieutenant Samuel N. Benjamin remained in command, and also served as the Corps Chief of Artillery. Battery F – Reporting from Memphis, Tennessee with two 6-pdr field guns and six 12-pdr Napoleons. The battery remained with the District of Memphis, of the Sixteenth Corps. Lieutenant Albert M. Murray replaced Lieutenant Charles Green in command. Battery G – Reporting at Germantown, Virginia (in Fauquier County) with four 12-pdr Napoleons (report dated January 1864). We can move past inquiries about the location, and accuracy, to focus on the assignment. After Gettysburg, the battery moved from Sixth Corps to Second Brigade, Horse Artillery. Lieutenant John H. Bulter remained in command. 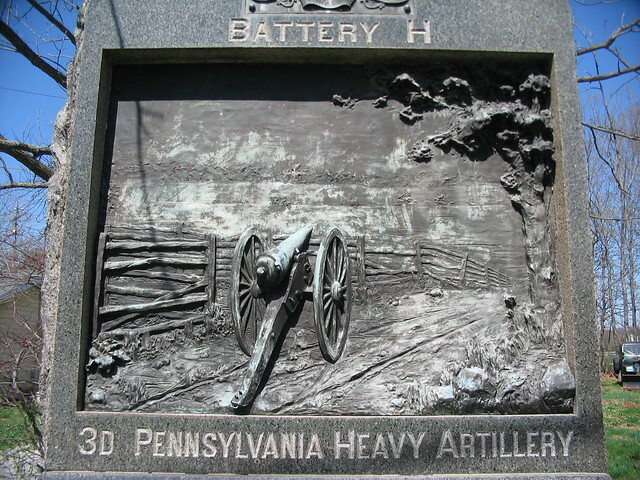 Battery H – “Infty. Stores” with a location of Fort Haggerty, Virginia. This is out of order. Battery H was, at this time, in Pensacola, Florida assigned to Fort Barrancas, Florida as garrison artillery. Not until the spring of 1864 would the battery move to the Eastern Theater, and even then to Baltimore. Captain Frank H. Larned was in command. Battery I – No report. During the Gettysburg Campaign, the battery was assigned to the Second Brigade, Defenses of Baltimore, in the Eighth Corps or Middle Department. Lieutenant James E. Wilson (a different James Wilson than that in Battery C, 1st Artillery at this time) commanded through much of the summer. But in early September, a newly promoted 1st Lieutenant Wilson was ordered to report to his original battery – Battery G – in Virginia. Captain Thomas Gray replaced Wilson. Battery K – No report. The battery garrisoned Fort Pickens, Florida under Captain Harvey A. Allen. Battery L – We see a description “with Battery B”, as discussed above. Battery M – A reporting date of October 31, 1863 has this battery at Gainesville, Virginia with six 3-inch Ordnance Rifles. Considering the movements of the Bristoe Campaign, this might be accurate. Assigned to First Brigade, Horse Artillery, Lieutenant Alexander C.M. Pennington commanded. Keep in mind, when considering the regimental officers the service of Captains John C. Tidball and James M. Robertson. Tidball had accepted command of the 4th New York Heavy Artillery and departed his position with the Second Brigade, Horse Artillery. Robertson commanded the First Brigade, Horse Artillery. Adjutant, 2nd Artillery: No location but a reporting date of October 4, 1863. U.S. 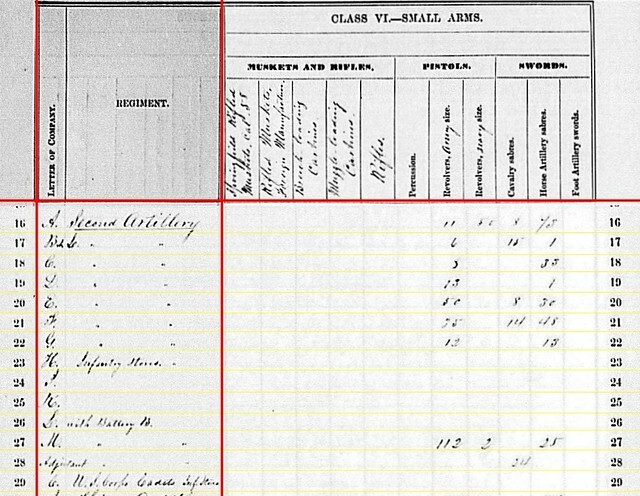 Corps of Cadets, West Point, New York: The annotation is “inf stores.” Not sure if this entry was placed at this point on the summary because of an affiliation with the 2nd Artillery, or if was simply entered on an open line. Regardless, no cannon reported. No equipment was reported on the forms under any columns for this line. So we can wonder if this was simply an act by the clerks seeking an accounting. We will return to these lines later in our discussion. Battery C: 26 shot, 135 shell, 160 case, and 68 canister for 12-pdr Napoleons. Battery D: 224 shot, 113 shell, 224 case, and 32 canister for 12-pdr Napoleons. Battery F: 135 shot, 104 case, and 145 canister for 6-pdr field guns; 448 shot, 152 shell, 448 case, and 152 canister for 12-pdr Napoleons; 20 case and 17 canister for 12-pdr field howitzers. Battery G: 69 shot, 96 shell, 192 case, and 128 canister for 12-pdr Napoleons. The only question is the presence of 12-pdr howitzer ammunition with Battery F. But that battery was at the time serving in a garrison role. And the accumulation of additional stores might thus be explained. Battery A: 300 percussion shell for 3-inch rifles. Battery B & L: 95 canister and 290 percussion shell for 3-inch rifles. Battery E: 103 bullet shell for 20-pdr (3.67-inch) Parrott. Battery M: 161 canister for 3-inch rifles. Battery E: 50 Hotchkiss cannister, 150 Parrott shell, and 160 Schenkl shot for 20-pdr (3.67-inch) Parrott. Battery A: 70 case for 3-inch rifles. Battery B & L: 554 shells for 3-inch rifles. Battery M: 538 shell and 218 case for 3-inch rifles. So we see a mix of Hotchkiss and Schenkl in the horse artillery batteries, probably to the dismay of General Henry Hunt. Battery A: Eleven Army revolvers, fifty Navy revolvers, eight cavalry sabers, and seventy-three horse artillery sabers. Battery B & L: Six Army revolvers, fifteen cavalry sabers, and one horse artillery saber. Battery C: Eight Army revolvers and thirty-three horse artillery sabers. Battery D: Thirteen Army revolvers and one horse artillery saber. Battery E: Fifty Army revolvers, eight cavalry sabers, and thirty horse artillery sabers. Battery F: Thirty-five Army revolvers, fourteen cavalry sabers, and forty-eight horse artillery sabers. Battery G: Twelve Army revolvers and thirteen horse artillery sabers. Battery M: 112 Army revolvers, two Navy revolvers, and twenty-five horse artillery sabers. Adjutant, 2nd Artillery: Twenty-four cavalry sabers. Looking beyond the armaments, let’s take a look at the other stores reported by the Adjutant. Matching with the number of sabers reported, the Adjutant also had twenty-four saber belts, waist belts, and plates. And, with full accounting for all government property, the adjutant had one “packing box” on hand. I hope that packing box was put to good use! By January 1865, even a biased observer of the Civil War would have to agree the final acts were due to play out within months. But before the curtain would open on the next rounds, several actors had to move about on the stage. As some of the fall 1864 campaigns reached conclusions, the demands of January 1865 prompted movement of troops across theaters. Both Federal and Confederate troops were in motion that month. There are three movements which I’d highlight as rather important to the last phases of the Civil War. I’ve mentioned one of those movements in brief already. The Second Division, Nineteenth Army Corps, under Major-General Cuvier Grover, were veterans of the vicious fall campaigns of 1864 in the Shenandoah Valley. But in January 1865, Grover’s men were designated to be the new garrison of Savannah, Georgia. The division departed Camp Sheridan, outside Winchester, Virginia, on January 7, 1865. From there, the troops moved by railroad to Camp Carroll, Baltimore, Maryland. This first leg of the journey was about 100 miles. The division’s second leg was by steamers from Baltimore to Savannah – some 625 miles, give or take. The division arrived in Savannah on January 20. This freed up the division of Major-General John Geary (Second Division, Twentieth Corps) for the movement into South Carolina. And thus the force that Major-General William T. Sherman had marched through Georgia in the fall of 1864 remained intact for similar treatment of South Carolina. Grover’s men spent the last winter of the war at the enviable posting of Savannah. The second troop movement to consider is that of the Twenty-third Army Corps. The lone formation in the Army of the Ohio, Major-General John Schofield’s troops were veterans of the Atlanta and Franklin-Nashville Campaigns. And at the start of January 1865 they were south of Nashville. From the big overview, Schofield’s troops were extra chess pieces on the far side of the board, better employed on the Atlantic Coast. But Schofield could not simply march the direct route through to the Carolinas. Instead their route was opposite that taken by the Eleventh and Twelfth Corps in the fall of 1863. It having been decided that the Twenty-third Army Corps, Major-General Schofield commanding, shall be transferred from the Tennessee to the Chesapeake, you will immediately proceed westward, and take the general supervision and management of its transportation. Dana advised Parsons to use boat transportation, if practical, to Parkersburg, West Virginia. But if needed, the rail system should be leveraged. Parsons wasted no time, departing Washington on the same day. A railroad man before the war, Parsons hedged his bets and contacted “several trustworthy gentlemen intimately connected with the management of Western railroads” to have sufficient rolling stock to move the troops if the situation arose. Initial estimates called for boat (or rail) capacity to move 10,000 men. But by January 18, Parsons realized the number was in reality 20,000! Adjusting, Parsons shuffled resources to meet the demands. The first leg was movement by river boat from Clifton, Tennessee to Paducah, Kentucky. The second leg, along the Ohio River, used over fifty steamboats to move the troops to Cincinnati, Ohio. At first Parsons planned to move the troops by rail from there because of river conditions. But as the boats arrived, on January 21-23, ice in the river cleared up. So the boats pressed on for over 300 more river miles to Wheeling, West Virginia (well past Parkersburg, by the way) where they transferred to the rail-cars. The distance transported is nearly 1,400 miles, about equally divided between land and water. The average time of transportation, from the embarkation on the Tennessee to the arrival on the banks of the Potomac, was not exceeding eleven days; and what is still more important, is the fact that during the whole movement not a single accident has happened causing loss of life, limbs, or property, except in the single instance of a soldier improperly jumping from the car under apprehension of danger…. And keep in mind, I’m offering only the “Cliff Notes” version here. Parson’s report, including attachments, runs some sixty pages within the Official Records. Parsons earned a promotion to Brigadier-General that winter. But while Parson’s job was done, the Twenty-third Corps was still moving. Within days some troops moved again to Annapolis, Maryland where they boarded ocean-going transports headed to North Carolina. And here the movement met its first major snag. Several of the transport vessels were not outfitted to handle troops. Regardless, the troops went south… some cases on cargo vessels. Schofield, now in command of the Department of North Carolina and having placed Major-General Darius Couch in command of the corps, directed the Twenty-third Corps to Cape Fear. The Corps Third Division arrived at Fort Fisher on February 9. But the remainder arrived in serials. The last of the corps did not complete the journey until February 28 (with the last elements disembarking at Morehead City, North Carolina). Though the movement by sea was slow in comparison to Parsons’ charge, elements of the corps arrived in time to take part in the final operations at Wilmington. Left Milledgeville in a storm of rain and rode horseback twenty-five miles, bivouacking near Colonel Lane’s, two miles from Sparta. Of course, staff officers ride while infantry march. But using the much maligned Confederate rail system, some of which Sherman had wrecked only a few weeks earlier, from Mississippi to central Georgia, many footsteps were saved. Indeed, for Cheatham’s men to reach Augusta, Georgia, the only leg were no railroad existed was the forty-five or so miles from Milledgeville to rail stops on the Georgia Railroad. By February 10, Hampton reported camping across the Savannah River in South Carolina. Such was a feat that one could argue rivaled the movements facilitated by Parsons … when one considers what resources were available to the Confederates. Three movements. Three substantial troop formations placed at new locations on the map. All accomplished within weeks. Although the war was winding down, the troops were still in motion.